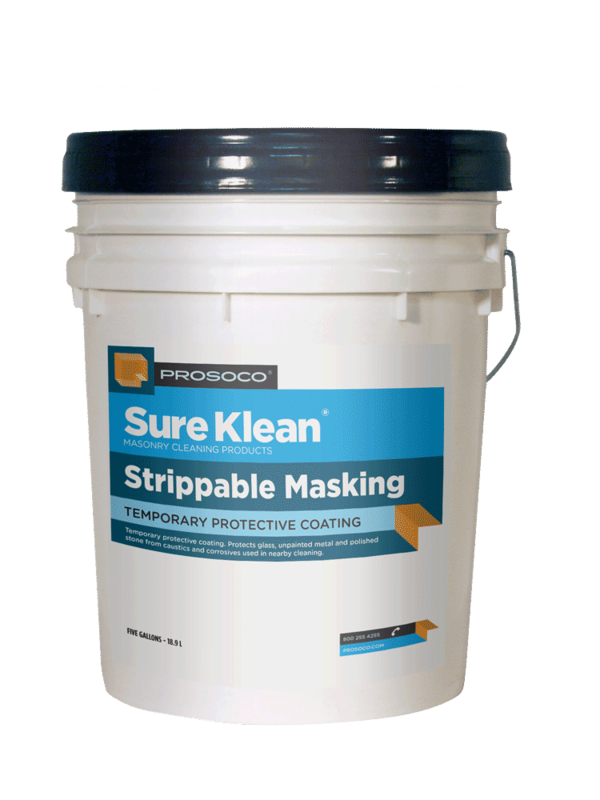 Sure Klean Strippable Masking (White) is a material for protecting glass, unpainted metal, and polished stone from masonry cleaners being used nearby. 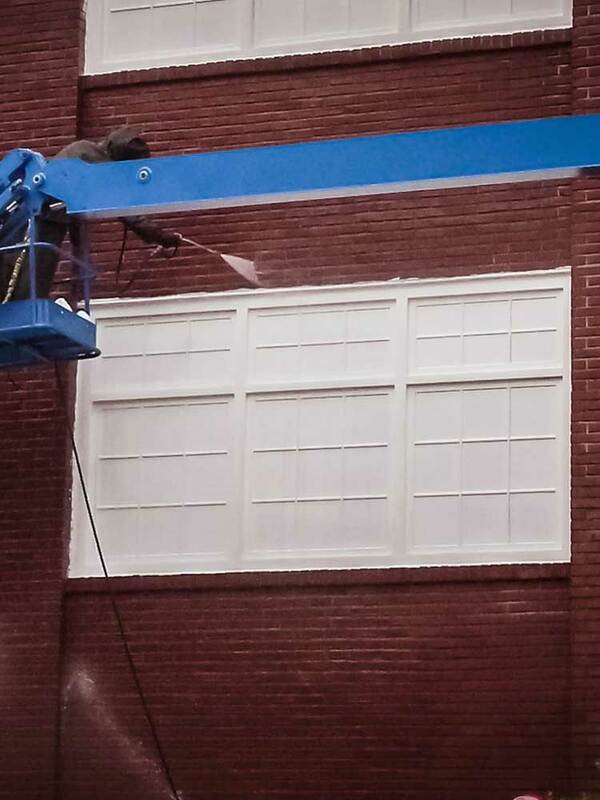 It is an easily applied liquid that dries to form a temporary coating, protecting surfaces from contact with masonry cleaning solutions. After cleaning is complete, Strippable Masking is easily removed. Safer for sensitive surfaces such as rubber or neoprene gaskets than similar solvent-based products. Allows use of double-hung windows and doors when cleaning is not taking place. White pigment helps distinguish between treated and untreated areas. COVERAGE RATE175-275 sq ft/gal per 2.0 dry mil application. See Product Data Sheet for specific variations per substrate.